Much like my introduction to Tintin, I was first passed a copy of The Big Sleep by a favourite teacher. This time is was well into Secondary School, either GCSE or A Level years and it was my English teacher, Mr Dawson. Beyond my family, he was most responsible for both my love of reading and long-standing dream of writing my own stories. Following a class reading of The Adventure of the Speckled Band, which I’d read before and was something of a naïve expert on, he brought a copy in and offered it to me as a loan. For some reason, the book sat in my room until he gently reminded me that he’d need it back. Shocked at my forgetfulness, I raced through the pages in a few nights and returned it the same week. The connection to Sherlock Holmes seemed at once clear and distant. The novel’s detective, Phillip Marlowe, is as determined, intelligent and single-minded as his predecessor. Yet, this was something new too. He was involved in his case like Holmes rarely seemed to be, messing around with victims and suspects. Where Holmes intervened to solve a crime, Marlowe almost seems to propel it forward and wasn’t too bothered with loose ends. Without Mr Dawson and that book loan, I might not have come to appreciate detective fiction’s diversity. The Big Sleep, I soon learned many years ago, is the first novel to feature Phillip Marlowe. Published in 1939, it builds an a number of Chandler’s many short stories featured in Black Mask. The story follows the Private Detective as he investigates the blackmail of a wealthy family’s wild-child daughter. Before long, Marlowe uncovers much more than he’d being paid to find and the bodies start mounting up. In truth, the plot of the novel is only marginally relevant. It’s purposefully loose and messy, something Chandler makes no apology for. The real genius is in the atmosphere of mystery, double-dealing and noir that the author builds with every turning page. Perhaps even more so, the flawless characterisation of the deeply flawed central character (even here I hesitate from labelling Marlow as our hero as he’s no such thing, although more riotous than he’d care to admit). The Big Sleep transcends its genre, moving WH Auden to write that Chandler’s thrillers “should be read and judged, not as escape literature, but as works of art”. Reading The Big Sleep is essential to understanding why we read anything. It’s a mix of pure entertainment, mystery and literary art. There’s a reason its been chosen in top 100 lists by Time, Le Monde and The Guardian. Consider this essay your personal English teacher, reaching out with an opportunity to change how you think about what novels can achieve. 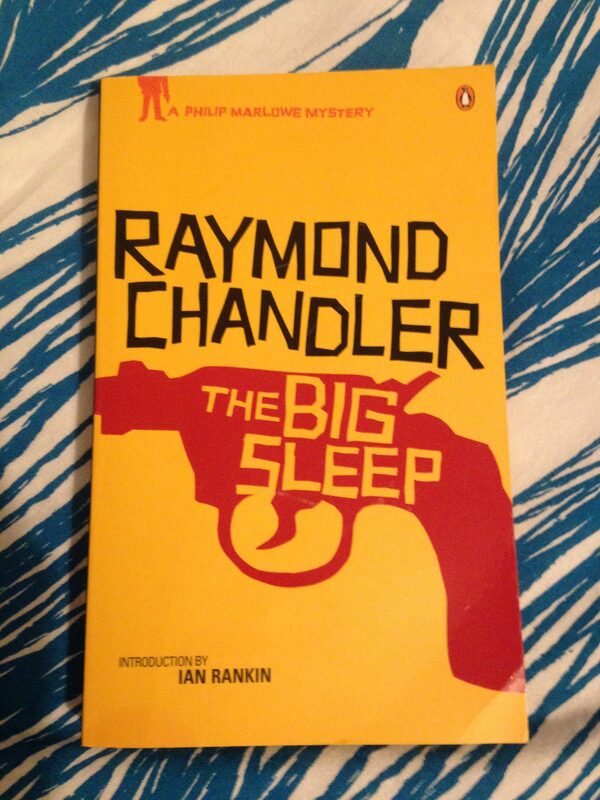 Raymond Chandler was born in 1888 and is best known for popularising ‘hard-boiled’ detective fiction. His lead character Phillip Marlowe is considered the archetypal private detective. Chandler died in 1959.